Alpe di Siusi – Europe's largest mountain plateau. Castelrotto– the historic village in the Dolomites. Siusi allo Sciliar – the gateway to the Dolomites. 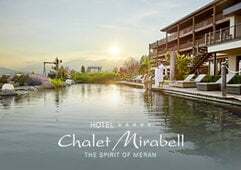 Fiè allo Sciliar – the spa at the foot of the mountain that is the symbol of South Tyrol. Tires al Catinaccio – the mountain-dwellers village in the Dolomites. It is not only these headlines, but also the distinctive landing pages, that draw attention to the villages in the Dolomites. Images and texts present the USPs, webcams deliver live images and an overview is a teaser for upcoming events. 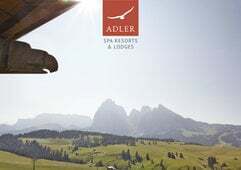 As much as hikers love to tread the 450 kilometres of hiking trails on the Alpe di Siusi, there is something that is of utmost importance to the movers and shakers of this holiday region: increasing the conversion rate of enquiries and bookings. The diligence with which the hosts of the Alpe di Siusi region take care of their guests has been fine-tuned for conversion: the design of the pages corresponds to the expectations of users, and the contents even exceed them. This intelligent communication in conjunction with well-placed “calls to action” promote conversion. Inspiration is linked as much as possible to information, whereby emotional and rational approaches flow into each other. The consequences are staggering: the website sparks enthusiasm in Alpe di Siusi fans, highlights the exceptional, communicates benefits and promotes clicking on the calls to action. In addition, accommodation mini-sites have been developed in an appealing and confidence-building manner, and not only due to the TrustYou reviews included. Skiing, cross-country skiing, sledding and snowshoeing are only the first in a long list of winter activities in the Alpe di Siusi holiday region. Specific landing pages include all useful information such as snow reports, open facilities, mountain cabin guides, best tours and events. In summer, hikers, bike junkies, running fanatics, climbing freaks, golf cracks, horse lovers and paragliders find their paradise on the Alpe di Siusi. 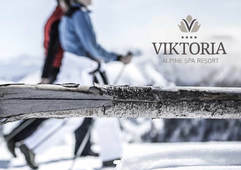 This holiday region is also a year-round dream destination for families, and specific family-summer and family-winter landing pages address this fact. An important part of our design is the content created directly by numerous Alpe di Siusi lovers themselves. The Social Wall gathers all posts with the hashtag #alpedisiusi from the social networks. This unique content mix of user-generated content and content of the Alpe di Siusi destination, creates the actual added value for the visitors to the website. We bet that the content will also cast its spell over you. Click here, and see you soon on the Alpe di Siusi!